This is potentially the coolest Star Wars Lego. 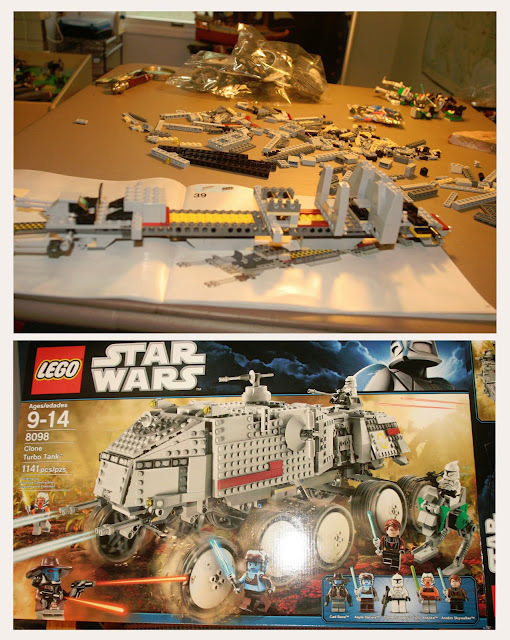 Last year my son agonized over which Star Wars Lego he would choose for his birthday gift. After weeks of debate, both internal and with trusted advisers, he made his decision for the Clone Turbo Tank, pictured above. Despite several months of intermittent assembly, work has ground to a halt. The culprit? Minecraft. In many aspects Minecraft is more creative than Lego kits where the shape of the object is predetermined. However, I want to encourage the kid to pursue interests other than those on a screen. Perhaps this is a blessing in disguise, for if the kid loses complete interest I get to put it together and play with it!